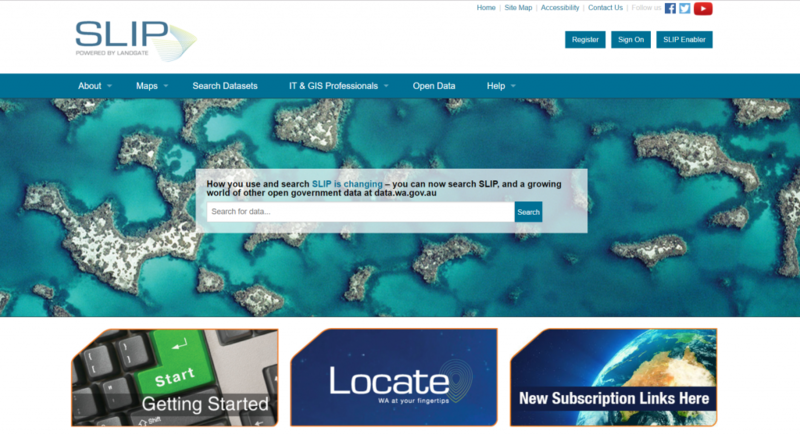 Jake recently went along to a Shared Land Information Platform (SLIP) developers workshop to learn about changes Landgate were making to SLIP. We see this as being intertwined with recent upgrades to our GRID product, and so it was important for us to understand what was coming up and how it might impact the Natural Resource Management (NRM) community who uses GRID heavily, and also wants access to data from SLIP! We are committed to providing a positive experience for our GRID customers – and so having an understanding of the direction of SLIP services and that program is critical for us to offer enhanced functionality to the NRM community that stands the test of time. To also provide some context, we are about to release another round of enhancements to our Web Map Service (WMS) functionality so NRM staff can use our information feature (also known as the i-button), and a hover over layer legend feature. Developed as a result of feedback from our GRID users, this will make using the SLIP layers that are “behind the front end” – as well as other Open Geospatial Consortium (OGC) compliant WMS content from other publishers like Geoscience Australia – easier to incorporate, visualise and interpret. Anyway, we found out at the SLIP workshop that SLIP will no longer provide data through Web Mapping Tile Service (WMTS) layers. WMTS is similar to WMS layers but instead, it uses tiles to deliver the data, and was designed for efficient delivery of datasets that were relatively static, like imagery. As a result, the SLIP program will continue to publish its vast aerial imagery resources as WMS layers only (but we have observed that this has been able to work relatively efficiently using this protocol anyway!). So while we support the WMTS connection type in GRID, NRM users will likely only need it for other custodians who choose to publish in that format. A good example would be Geoscience Australia’s National Topographic maps (such as datasets like this). In any case, we have just been internally testing the additional WMS functionality within GRID (with a sneak peek below) and this seems to work well with the WMS based layers, such as the ones in SLIP. We keep in touch with the SLIP team about open source systems and data services, and will continue to be interested in SLIP and the data that it provides, as well as with the various source custodians of the data as well. We are also looking at ways to make the licenced data in SLIP more widely available to the NRM community, so that we can provide better contextual data for those groups that are making decisions about preserving and improving on our environment. If you have any questions or feedback we would love to hear from you. Feel free to get in touch with us (either through social media, such as Facebook, Twitter or LinkedIn), or via a direct email to either Chris Roach (chris.roach@gaiaresources.com.au) or James Houston (james.houston@gaiaresources.com.au).